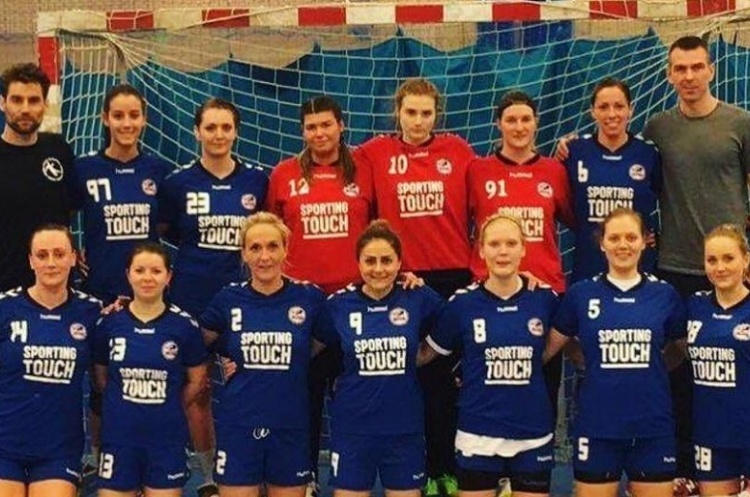 NEM Hawks travelled to London to take on West London Eagles in a men’s and women’s double header in the Premier Handball Leagues. They returned to the North West having taken three points in both matches at Leyton Score Centre on Sunday. The women were first to play and it was a match between second and third in the table, Hawks just one point ahead of Eagles. The first half was a close affair, with the teams turning around with Hawks just in front at 9-10. For the West Londoners, Anne Holm Roppen and Sunniva Ovstebo Naess netted three times each in the first half. The Hawks’ half-time team talk must have been effective because in the second half the Mancunians were able to increase the pressure and eventually ran out 18-26 winners. Lydia Edgar and Beth Wilbraham each scored four goals in the second half, but it was goalkeeper Kara Hunte who was nominated Player of the Match for Hawks, showing it was the defensive effort that won the match for Manchester. This reverses the previous league result between these two teams, when Eagles won 31-35. Hawks now lead Eagles by three points in the league table, but Eagles have a game in hand so that second place is still to be fought for. The other match of the weekend in the Women’s Premier Handball League pitched Peninsula against Coventry Sharks at the Northgate Arena in Chester. The teams went in at half-time with the Midlanders seven points ahead in 11-18 after five first half goals from Player of the Match Jolanta Bicka, and four first half goals from Marta Gutowska. Top scorer for Peninsula, Florentina Tamasanu, netted five times in the first half as part of her overall total of eight goals. In the second half Sharks pulled away again and it was 21-35 at the final whistle, Bicka and Gutowska each doubling their tally in the second half. Peninsula are just three points behind seventh-placed Cambridge, and have a game in hand. Sharks sit fourth in the table. In the next round of fixtures, Peninsula have a weekend off whilst Sharks host West London Eagles.